Brian O'Donovan (aka BOD): Perfecting my menu for "Come Dine With Me"
At this stage, I am giving up hope of being selected to appear on the "Come Dine With Me" show on TV. Nevertheless, I decided to have another practice run with friends this weekend. I tweaked the menu slightly this time. 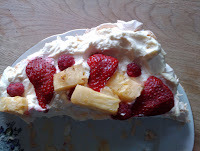 The one think I was most nervous about in the new menu was the Pavlova for desert, because I had never cooked this before. 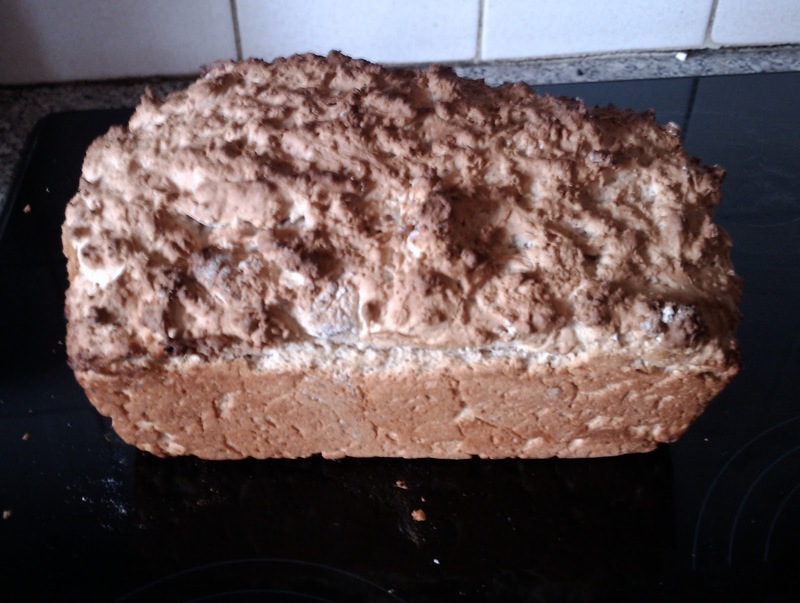 However, I think it came out quite well as you can see from this picture. I thought I had done something wrong when the inside was all soft, but my sister who is a Pavlova specialist assured me that this was actually how it was supposed to be. I cooked salmon-en-croute for the main course which was the same as last time, but I cooked Prawns-Pil-Pil for a starter. 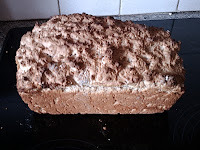 I forgot to take a picture of the Prawns, but I did take a picture of the home made brown bread that I baked to accompany them. I took no short cuts with the pre-dinner nibbles either. I made a dip from soured cream and chives. 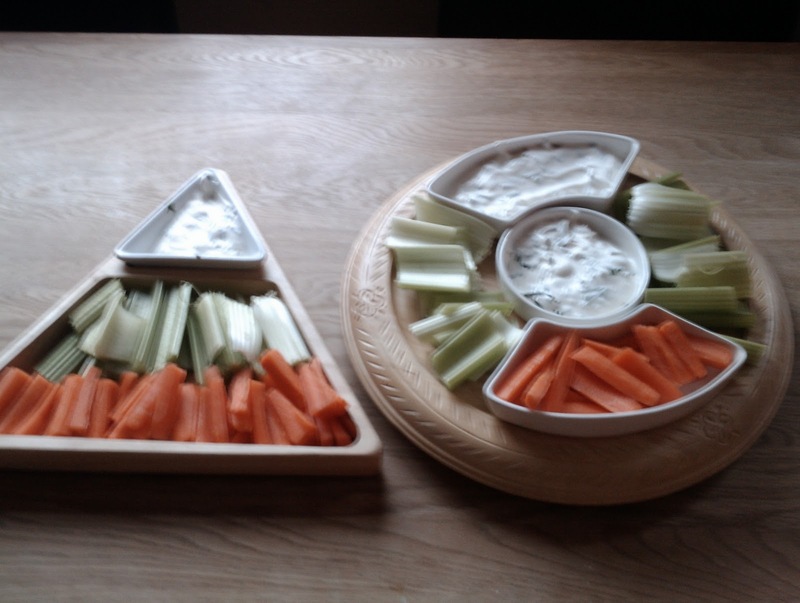 I combined this with carrots and celery to produce a very attractive looking tri-colour platter. The guests seemed to enjoy this, but I personally thought the dip tasted slightly bland. Maybe I will search for another dip recipe if I do get selected for the TV show. Overall we had a great night. I even managed to get the Nintendo Wii working for the after dinner entertainment without having to call up on my daughter's hesitance to get it started. So, I am delighted that I entered the competition becuase I have had some great nights entertainment with the practice runs.